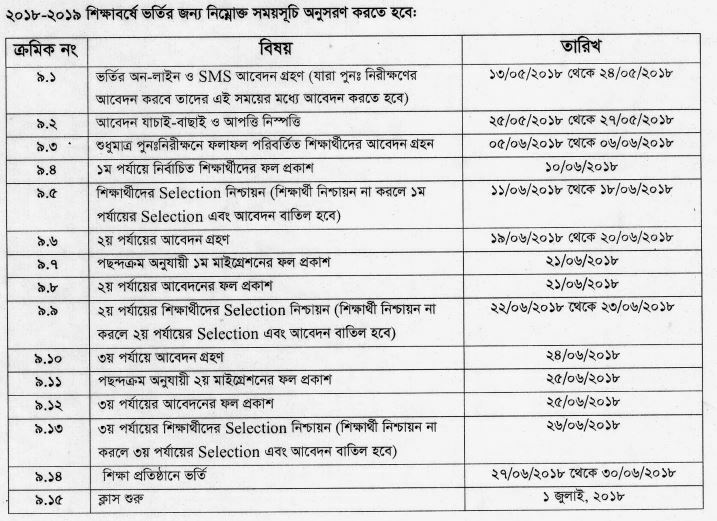 HSC admission schedule has been announced for the SSC passed students in 2018. 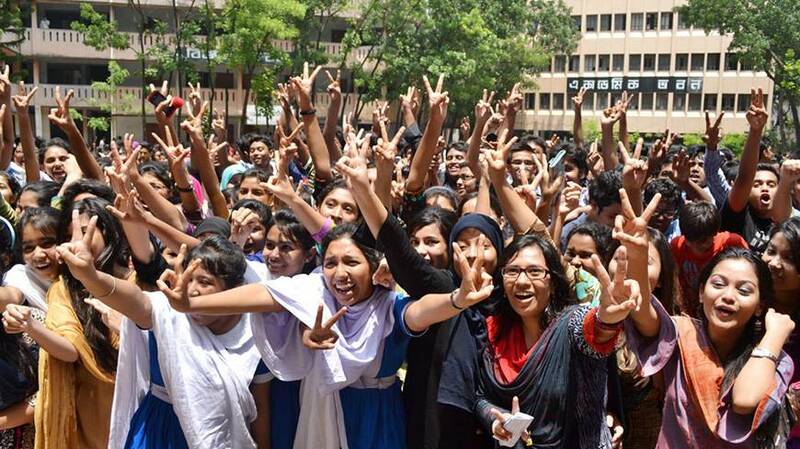 This year SSC passed students can choose maximum 10 colleges for admission. They can choose the colleges if they interest to make admit there. Student should apply between May 13 to May 24, 2018. 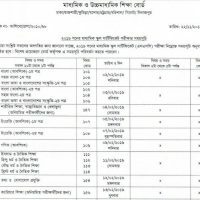 SSC result for secondary school certificate examiners re-scrutiny program starts within one week of the ssc result in Bangladesh for all education boards. 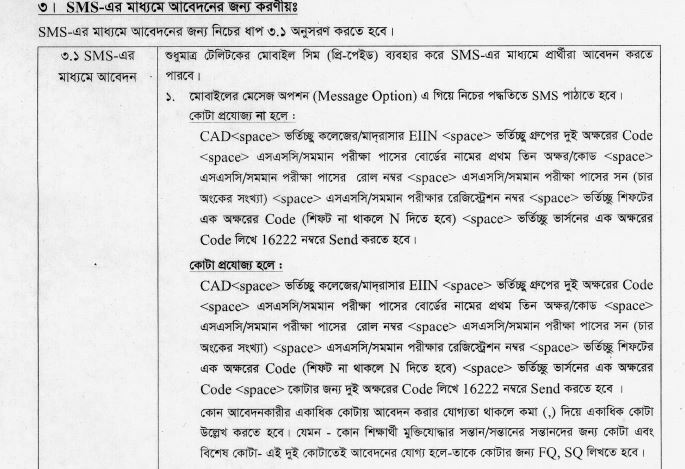 Online sms period of time – within 10 to 12 days of result published. 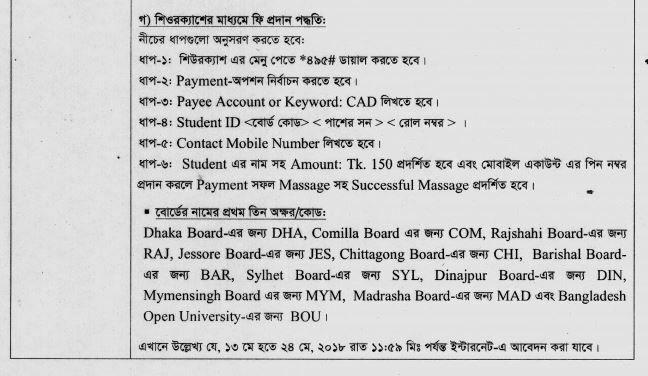 Application fees – Tk 150 for online application and Tk 120 for SMS per collage. 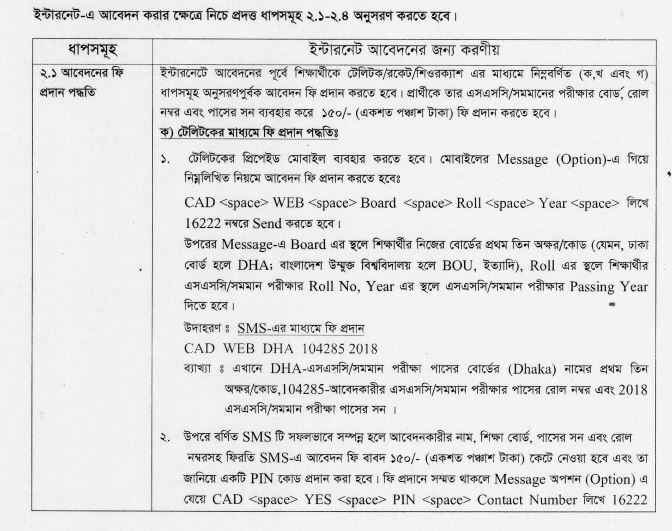 CAD <space>WEB<space>Board Roll<space> Year<space> Reg. 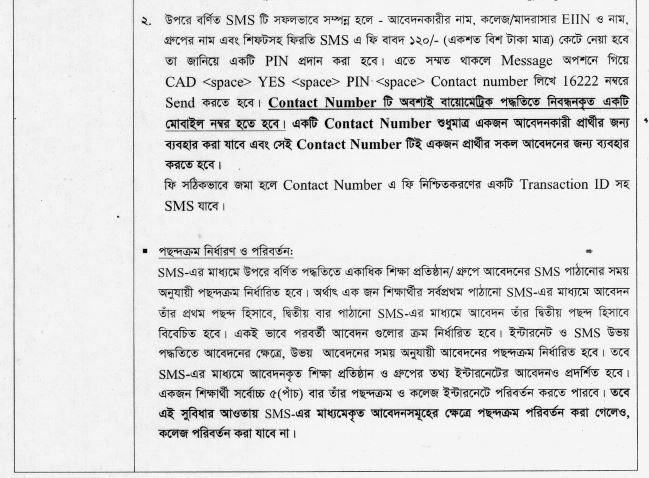 No.then send to 16222 from biometric registered teletalk mobile number. 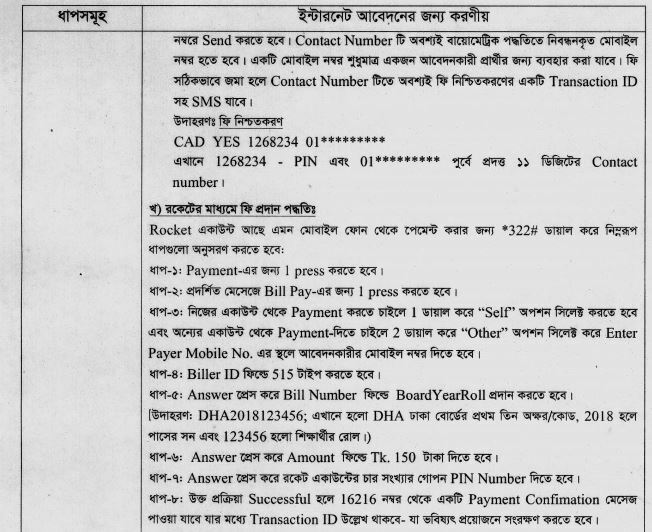 you will received a SMS with name, year, board, rool number to pay Tk. 150.
enter ssc/equivalent roll, board, year and registration number. Then you will see your details and GPA. Then enter your Guardian mobile number. Each student can select maximum 10 colleges from the list. finally, you will see a form with your name, roll, ragistration/group/ship/version. You can download or pint the form for future use. You can select 3/4 college today, and tomorrow again you edit this form to add more colleges. they will send you sms to pay Tk. 120.
then you will get another message with confirmation. You can apply maximum 10 college through sms by giving tk. 120 for each application. The students who passed SSC in last 3 years are eligible to get admission. Every candidate can apply for few colleges by giving online or sms fees. 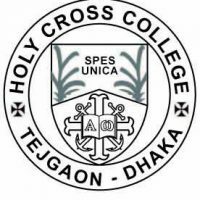 There will be no admission test for HSC admission under academic session. 1st Merit list will be published in a schedule time. HSC Admission date from 1st Merit list will be puslished. Then 2nd, 3rd merit list. Release Slip. Result for HSC release slip. Class for New HSC students will be started soon after completion admission.